Did You Know Reclaimed Surface Mines Are Good for Whitetails? Growing up in Virginia, I thought of coal mines as dark, scary places. It never occurred to me that such a setting could be turned into heaven-on-earth for wildlife and even hunters. All wildlife benefits from the environment on a reclaimed surface mine, but especially deer. It provides a variety of food and cover for them to prosper. Deer herds are positively responding to the habitat that’s replanted on surface mines, which means reclaimed mining properties create prime hunting opportunities, too. The Surface Mining Control and Reclamation Act of 1977 was an effort to establish a program that focused on surface mining activities and the reclamation of mined lands. A priority of the Act is to restore land and water after mining. Since the 1990s, regulations have been modified with the objective to focus on the needs of wildlife. David Ledford and his partner Frank Allen founded the Appalachian Wildlife Foundation based in Corbin, Kentucky. The foundation specializes in wildlife conservation, often focusing on reclamation of coal mines to restore habitat. The foundation works with the oil and gas industry in central Appalachia to create ideal living conditions for wildlife. Deer herds in central Appalachia are some of the most unproductive deer herds that exist anywhere because of the poor habitat conditions and minimal food sources of the landscape. Much of central Appalachia is mountainous, forested land. Mature forests aren’t providing a variety of quality food sources or creating cover, and when neither of these are present, deer herds can’t flourish. Ledford says deer need a variety of landscape to thrive. A mix of farm (grassy fields) and forested land are optimal for deer so that they can have places to hide and a lot of choices for nutrition. Despite the typical environment that exists in Appalachia, reclaimed surface mines have the most productive deer herds in the region. Dr. Mark Ford, associate professor for the Department of Fish and Wildlife Conservation at Virginia Tech, also said that most reclaimed surface mines are an ideal environment for producing quality deer year-round. “Having those two conditions is better than just one or the other. It’s landscape configuration,” Ford said. Most surface mines are in areas where farming is rare, so repurposing the property to compensate for the absence of agricultural landscape will benefit deer and provide superb deer hunting in Appalachia. The surface mines have broken up the landscape in these regions, but it provides a combination of forest and grassland at a great advantage. Leon Boyd, chairman of the Rocky Mountain Elk Foundation (RMEF) Southwestern Virginia Coal Fields Chapter, has been working in the restoration of coal fields business for nearly 25 years, but has increased his involvement in restoration efforts since 2010 when elk were being reintroduced in central Appalachia. These areas provide plenty of cover, water, and grazing opportunities, especially in this region where there isn’t much farming. Tanner Logan, a Virginia Tech student from Wise County -- located in the far southwestern corner of Virginia -- grew up hunting on reclaimed surface mines. Reclaimed mining properties are still his go-to landscapes to hunt because it’s easier to pattern deer, despite being in a mountainous region. 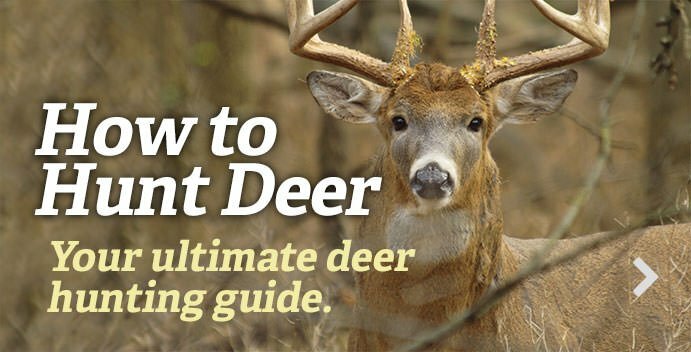 We know that deer love early successional growth, grassy areas, shrubs, acorns, and anything with dense browse. Reclaimed surface mines provide all of this with a lot of on-going work. Over time, the new growth and vegetation changes. It might mature, or some sites might experience invasive species. Just like food plots, they are maintained in order to increase the quality of deer herds and other wildlife that exist on and around them. This often requires controlled burning. David Ledford expects to burn more than 3,000 acres on properties the foundation is working on this winter to renew the vegetation. There are a lot of ways to think about the coal fields of Appalachia and the afterlife of a retired surface mine. Whether focusing on wildlife or not, they can be transformed in many ways. However, the best way to improve regions of poor conditions for deer is by proactively practicing wildlife conservation. Because of active conservationists, these areas are being rehabilitated into the best possible state for the well-being of wildlife, the landscape, and the hunter.